Remain calm, Cumber-verse. I have HUGE news. Professional event photographers have officially captured your golden idol and his bride-to-be at an industry event. It's ALL HAPPENING! 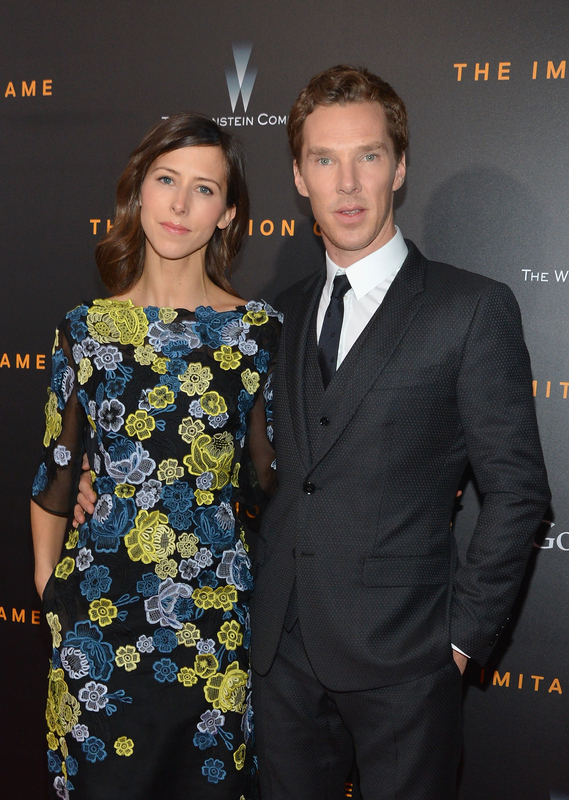 This week, Benedict Cumberbatch and Sophie Hunter made their red carpet debut and it was glorious. God only knows what thoughts were racing through their heads during this first of many firsts for the couple. I do know that these pictures are just asking to be scrapbooked for posterity. On Monday, Hunter and Cumberbatch attended the New York premiere of The Imitation Game, in which the Sherlock actor stars opposite Keira Knightley. Three weeks ago, the actor and his stage director girlfriend confirmed their engagement in The Times, which makes this event their first public appearance together as a betrothed couple. Or, really, as a couple at all. Hunter and Cumberbatch have been historically private and have kept their romance under wraps since they began dating earlier this year. That means zero red carpets, zero interview mentions, zero acknowledgment that anything was going on between them. Now, they're making their love available for public consumption and all feels right with the world. Huzzah! It's time these pictures got some thought bubbles, so let's roll out these inaugural Soph-e-dict photos and imagine what they were thinking as the bulbs flashed away. Sophie: I'll stand here in my dress and pose for cameras, but I'm not gonna like it. Must concentrate on intoxicating scent of Benedict's cologne. Benedict: Sophie's really killing the "attractively nonplussed" face that I've been coaching her on. Sophie: 'Kay, actually, maybe this is kinda fun. I literally don't need to do anything. Sophie: Just stare straight ahead. Do not acknowledge photographer attempting 3/4 profile shot. Benedict: So in heart with Sophie right now. Sophie & Benedict: Alright, public, you've had your fun. We're gonna resume being blissfully in love in private. K thnx bye.